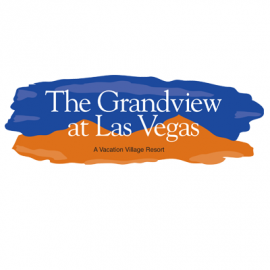 "Experience the beauty of Nevada and relax in the oasis that is The Grandview at Las Vegas. Situated less than 6 miles from the Las Vegas Strip, you can head out to a famed Cirque du Soleil show or try your luck at one of many nearby casinos. The Grandview at Las Vegas has just the amenities to make sure your family has the most comfortable stay. This resort features spacious suites with full kitchens, in-room laundry and jetted tubs! Soak up the sun on the pool deck or take a hike around Red Rock Canyon. Want to learn more about this resort? 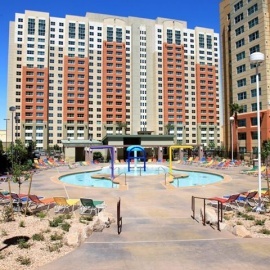 Visit www.vacationvillageresorts.com/VVR/grandview_las_vegas. "